This funny collection will leave your bowl full of jelly shaking with laughter. The great comedians of old time radio yesteryear pull out all the stops in their Christmas Comedy Specials. This collection offers festive funny laughs from the whole family. The notoriously stingy Jack Benny attempts to buy his coworkers a variety of cheap gifts for Christmas. In our favorite Jack Benny Christmas Episode, Jack Benny debates over what shoelaces to buy. Edgar Bergan and Charlie McCarthy wishes you a "Merry Christmas and a Happy Bergen!" Charlie McCarthy sends a carbon copy of his Christmas wish list to Edgar Bergan just in case Santa doesn't give him everything. In Amos and Andy: To buy Amos' daughter a special store doll that she wanted Andy works a second job as a department store Santa Claus, but he's almost too big for the suit. The most famous Amos and Andy show features Amos explaining the Lord's Prayer to his daughter Arbadella played by Barbara Jean Wong. The consummate supporter of Armed Service Men and Women of America, Bob Hope spends his Christmas entertaining the soldiers at the Long Beach Veterans Hospital. There are some jokes about the cute nurses and mistletoe. The cast in Duffy's Tavern does a unique version of The Christmas Carol. Our Miss Brooks was alone on Christmas and found a sad Christmas tree in a vacant lot, but then everyone magically comes to her house to celebrateor do they? 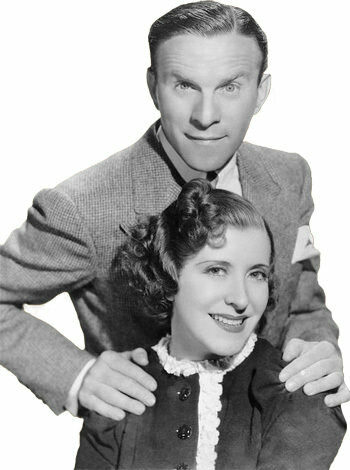 Christmas with George Burns and Gracie Allen has never been more fun! In one episode fly on the back of Herman the Duck to the North Pole. In another episode George and the quirky Gracie debate whether or not to buy Christmas presents. On Christmas Eve in another program George has been thrown in prison due to a mix up at the jewelry store. In the Fred Allen Program, Santa goes on strike! 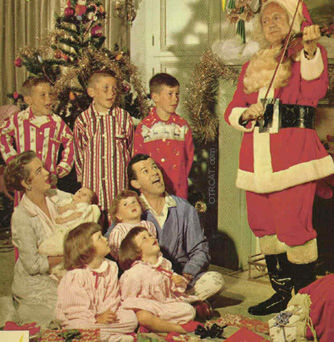 Santa tells his sob story to Fred Allen telling him of the time he visited Napoleon and Paul Revere. Will Jingle Bells ring tonight? There are many more funny and festive Christmas Comedy old time radio shows including The Jack Benny Program, Our Miss Brooks, Life of Riley, The Great Gildersleeve, Phil Harris and Alice Faye, Red Skeleton, Ozzie and Harriet, Amos and Andy, Fibber McGee and Molly, Bob and Ray, Blondie, George Burns and Gracie Allen, Duffy's Tavern, Fred Allen, and more. These radio shows were all on Santa's wish list. Be the first to comment on "Christmas Comedy"